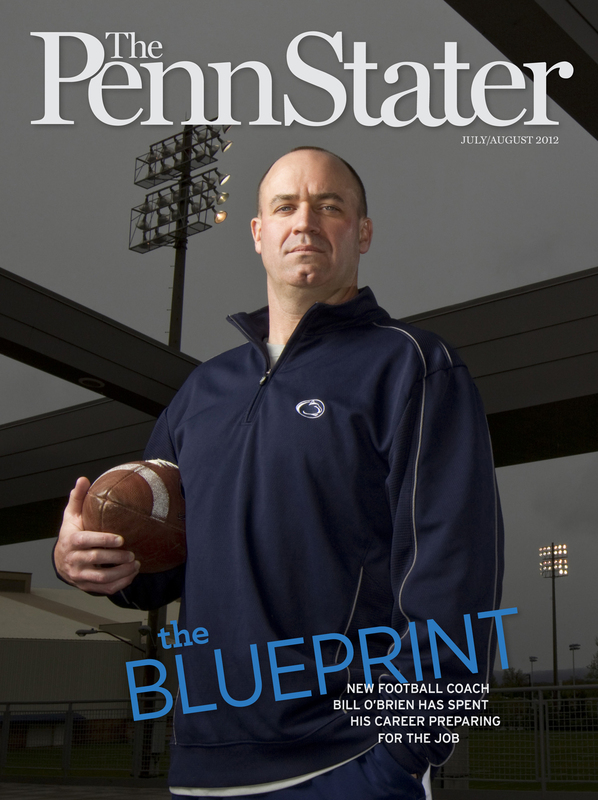 When you pull the July/August issue out of your mailbox (at some point this week, for most readers), you’ll be greeted by a blue-and-white-wearing Bill O’Brien. Senior editor Ryan Jones ’95 spent some time with O’Brien this spring as he made the media rounds on the Coaches Caravan tour and at other events. In the cover story, you’ll learn a little more about the new guy in town, his plan for Penn State football—and why he’s sporting that dogged expression on our cover. The issue also features an in-depth infographic that we hope provides a better understanding of the history and make-up of the Penn State Board of Trustees, including comparisons to boards at peer institutions around the country. Other highlights: Photos from a recent Alumni Association trip to China, a Q&A with children’s book expert Steven Herb, and a profile of an Ultimate Frisbee pioneer (with some cool action shots, to boot). Have you received your copy yet? Let us know what you think in the comments below or by emailing pennstaterletters@psu.edu. Entry filed under: The Penn Stater Magazine. Tags: July/August 2012. I loved the article on Matt Jaffe and ultimate frisbee. My nephew is enamored with ultimate frisbee and I would love to email him the article. When will the 1-page spotlight on Matt Jaffe be posted?